Perfectly situated just a block from the ocean in the charming upscale town of Gulf Stream, Florida is this truly extraordinary custom-built estate. The epitome of luxury and sophistication, this spectacular Gulf Stream stunner encompasses over 4,500 square feet of living space featuring 5 bedrooms, 6.5 bathrooms, a formal dining and living room, a cozy family room, a gorgeous gourmet island kitchen, a spacious laundry room and a generous 2-car garage. Phenomenal finishes abound throughout the perfectly crafted interior including vaulted and paneled ceilings, custom baseboards and moldings, impact windows and doors, plantation shutters, rich hardwood flooring and a full wet bar with Sub-Zero refrigerator. Shrouded by lush tropical landscaping, the meticulously maintained resort-like grounds provide an intimate outdoor oasis featuring a number of luxurious amenities including an expansive covered loggia with dining and sitting area, second floor terrace, a resort inspired swimming pool and a generous side yard with outdoor beach shower. 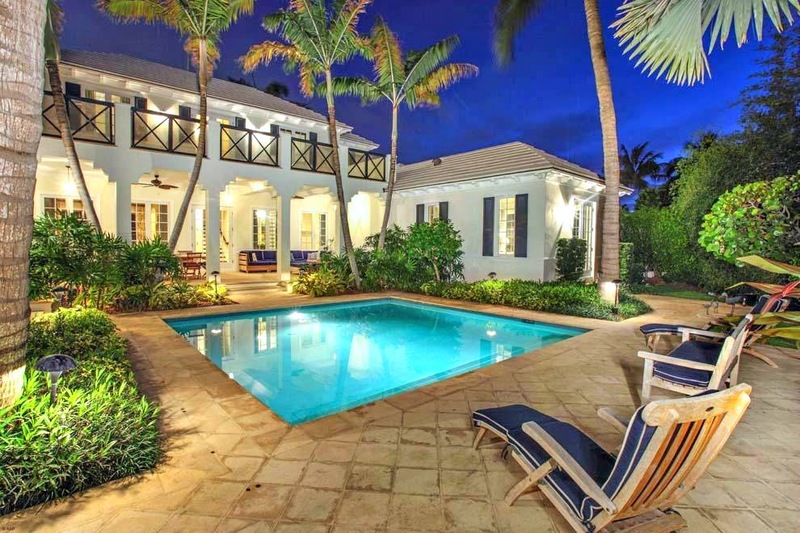 3433 Gulf Stream Road is located in Gulf Stream and is currently asking $3,495,000. This Gulf Stream listing is courtesy of The Corcoran Group MLS# RX-10123854. Gulf Stream is a charming upscale town nestled between Delray Beach and Boynton Beach in prestigious Palm Beach County, Florida. Residents of this affluent community enjoy a premier location just minutes from the shopping, dining and nightlife of Delray’s trendy Atlantic Avenue. The world class shopping, dining and cultural attractions of Boca Raton are also just a short drive away.